While maintaining the flexible and creative approach which characterizes us, we are always seeking more efficient ways to plan and implement our projects. Therefor we strive to continuously improve all aspects of our activities, including technique, equipment, people and operational methods. Kametal always strives to offer the most suitable solution for your project. We do not only do this by relying on a wide range of products and services, without compromising on quality, safety, health and the environment. We want to ensure that our growth goes hand in hand with sustaining improving our high quality standards. Environment and safety are therefore inherent and integrally embedded in business processes and operations. Attention to quality is a focus in all our activities. We see this as a continuous improvement process. Just like we continue to develop our services, our operations are regularly reviewed and updated. An efficient organization and process. All of our employees are VCA/SCC certified. This certificate is granted after a review by an independent institution. In this way we can guarantee that employees meet a number of stringent requirements in the area of safety, health and the environment. In addition to that, Kametal obtained the VCA**/SCC** business certificate. 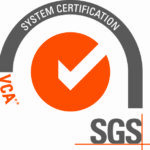 The VCA, certificate or in English, the “Safety Health and the Environment (SHE) Checklist Contractors (SCC)” is a management model in the areas of safety, health and environmental protection and is directed in particular to contractors and service providers that operate in high-risk environments. The SCC has been around since 1994 as representatives from the petrochemical industry and contractors wanted to develop a system for objectively assessing contractors’ safety policies and performance. Since then, the SCC has gained widespread recognition as THE industrial benchmark and complies with the requirements laid down in European standards.